A couple of years ago I made a Shapercube 3D printer. I posted several blogs on it, and the software design for slicing 3D image files and plotting the extruder path. I made it from a kit, soldering the components, and setting fire to some as well. I spent weeks on it and learned a hell of a lot. It really was very educational. I progressed it to the stage of a working 3D printer, but far from "plug and play". It needed careful attention and could not usually be trusted to print something right first time, especially from cold. Over two years on and things have changed a lot. A lot of people have had a lot of practice with this stuff now. I have now bought an "off the shelf" ready built 3D printer. I chose the Makerbot Replicator 2. It arrived next day. I plugged it in, followed the on-screen setup, and printed a test object (chain link). It worked. The weeks of working on a 3D printer make me really appreciate that this was no simple task for the manufacturers. I am impressed. So, I plugged in my Mac laptop, downloaded the app from the makerbot site, opened one of the 3D models I had from before (a gear), pressed print. It printed, flawlessly. I loaded a more complex model, a die cube. This is more complex as it needs a support layer internally for the dimples on the top. I pressed print, and it printed, flawlessly. Finally I loaded a TARDIS, selected high resolution, printed. It is nearly flawless - some whisps of plastic around the window frames which I suspect could be fixed with a slight tweak of the design. They came off and left it equally flawless. It took 3 hours and is very high resolution! I am at a loss for words - the technology is just plug and play now. It really is. Well, last time I got to a stage where I was spending the time on the printer and software and not actually looking at making any 3D models. I designed a gear, a die, a TARDIS, and a hopper extension for the coffee machine. It was so much work actually printing anything I did no more. Now I have a reliable printer I can work on some actual 3D models of stuff. We have a number of things that are practical, and could be fun to design. I'll post more when I have done some. It also means we can offer printing services at A&A, so we'll make some prices, probably based on machine time (like we do for laser cutting and engraving services). You may well ask why I got a MakerBot and not something else. There are some alternatives, and the main contender is the Ultimaker. The Ultimaker has a larger bed and boasts an impossibly high resolution. It is about the same price (around £2,000 inc VAT). The ultimaker has open source s/w and works on linux as well as windows and Mac. The Makerbot is windows and Mac only. In fact, I did order an Ultimaker. They charged my card, and nothing?! It was not until I called (they ignored my email) that I found it was going to be two weeks. Then they told me 4 weeks. Finally I gave in and cancelled and now they say it will be weeks before I get my refund!!! Not impressed. But there are other concerns now. I had seen the Makerbot in operation at IPExpo, but have not seen the Ultimaker. I did however try the Ultimaker software (cura). It looks slick, and does actually forecast the time taken which Makerbot could really do with. But I looked at what it would do with the die cube and I could see it was trying to print on thin air without the necessary internal support needed. It also failed on on the TARDIS model completely. I really have no confidence that it will "just work". I welcome reports from anyone with one. So, overall, at this stage I would have to recommend the Makerbot. 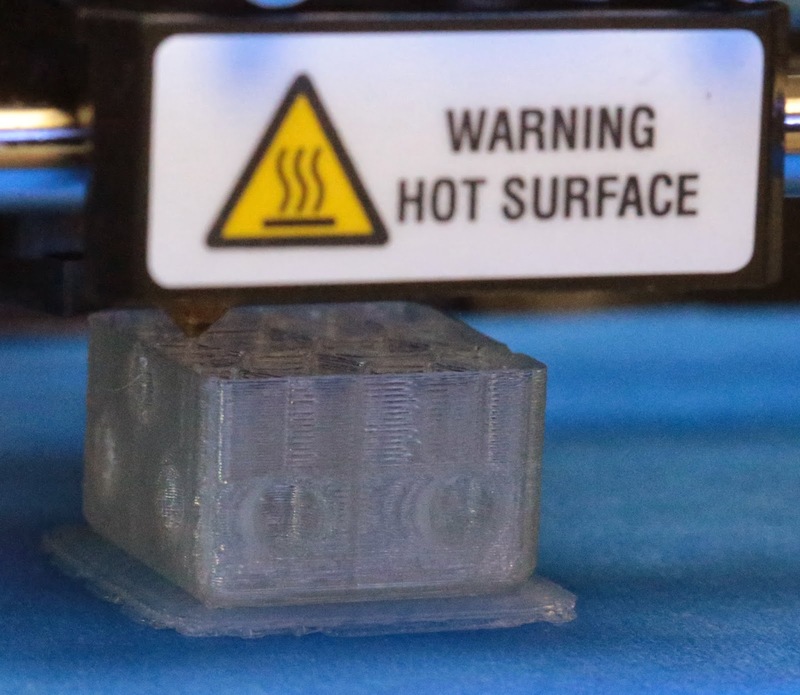 They do also have a dual extruder model which is marked experimental, which maybe I'll upgrade to some time. 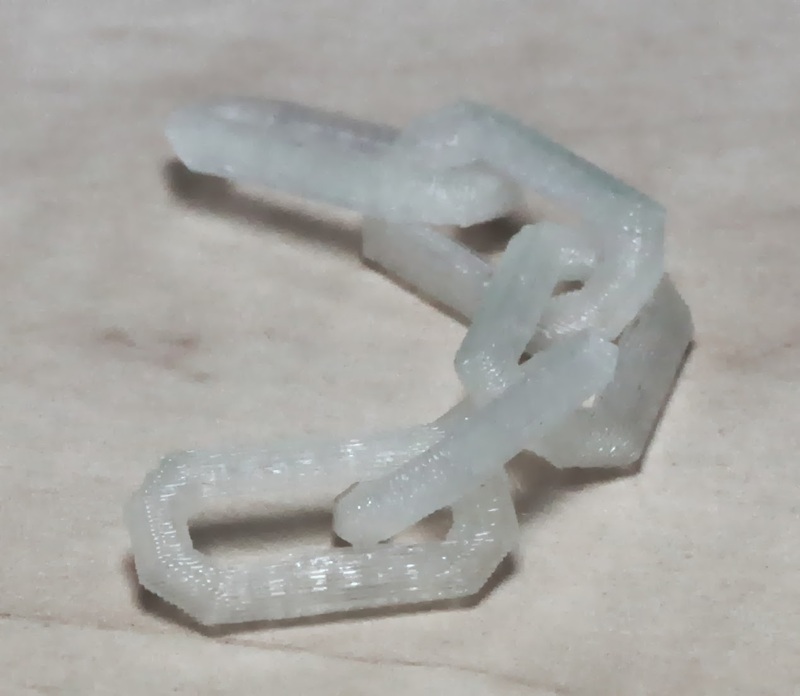 Dual feeds allows two colour, or, more usefully, a dissolvable filament allowing otherwise impossible prints that have separated parts and flying parts printed in place with dissolvable supports, even in closed enclosures. For now I am sticking to the standard model, the Replicator 2. Will be interested to see the pricing and some close up photos of the parts you've made. I recently went the home made CNC route because it seemed that all the extruding 3d printers couldn't make a smooth part. Assuming you paid by credit and not debit card lodge a complaint through your card company.